Wearing his politicosocial stance and dystopian warning against fascist oppression on its sleeve as a badge of honor, author Andrew Smith draws a clear line in the sand and stakes a claim, demanding the viewer take note of its events and make a stand, in a way all too long forgotten and lost in the wake of the sort of feel good nonsense and vapid commercialism of a Lucas or the pointlessly tech celebratory nigh-Utopianism of the cyberpunk movement. In short, this is science fiction as it was always intended: a clear message about the ills of today, shifted to a futuristic milieu to make its warnings all the more apparent and digestible to the reader, viewer or listener. In search of yet another potential ally, Blake drives the Liberator directly into enemy territory. Orbiting a planet surrounded by military satellites and serving as a training ground for Federation troops, Blake and Avon throw caution to the winds and teleport straight into the middle of a planetwide military exercise. With class warfare and elitism built into the very infrastructure of the ranks of the oppressor, the picture only gets uglier when the focus is broadened to a wider angle. Utilizing political prisoners and hardened criminals alike as effective human targets, the planet of Straxis takes the people-as-commodity mentality of the military (any soldier can tell you, once you sign on the dotted line, you surrender your personhood as an individual, and become government property in every sense of the word) and ties it to the everyone is replaceable and dispensable metrics-driven assembly line milieu of the corporatocracy to show a world where no one matters, and we are all just fodder for an effective grist mill well beyond our control. Hell, there’s even a terse cliffhanger to end the episode…how authentically Blake can you get? Abigail Hollick of Jago & Litefoot’s Series Three haunted theatre adventure Swan Song essays Battle Tracer Alexa as alternately hard nosed and efficient, offset by an embarrassed vulnerability at her humble beginnings, which obnoxious rich brat Voss Ferrell (Dan Starkey, the highly amusing Strax of televised New Who fame) has no compunction about throwing in her face at any concievable opportunity. Tim Bentinck (of Wirrn Isle and Fourth Doctor Aventure Destination Nerva) delivers an appropriately world weary Abel Garmon, surviving well beyond his fellow prisoners by dint of his strategic abilities and wits, and director Ken Bentley keeps things moving along at due pace. 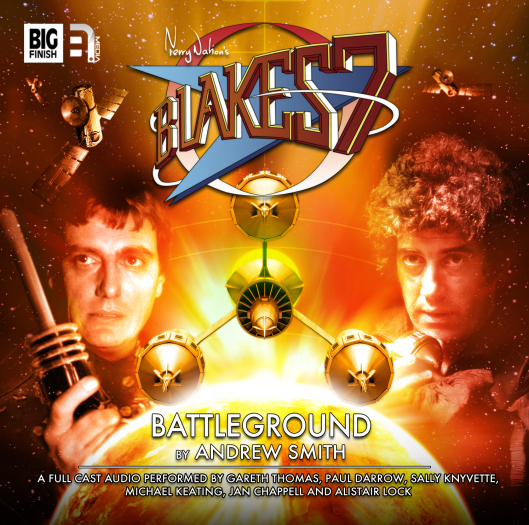 In point of fact, Battleground is not only a well scripted and directed installment in the newly minted Big Finish iteration of a well regarded sci-fi classic, but further serves as an excellent forum to address some larger concerns underlying the series as a whole. Blake himself and what he has come to represent to the universe at large has always presented something of a double edged sword, and it is this very irreconcilability that elevates the series to the echelons of the truly great sci fi series ever aired. While on one hand he has almost single handedly provided both inspiration and symbol of resistance to the oppressed under a right wing totalitarian regime, his idealism carries with it a strong measure of naïveté bordering on fanaticism if not stupidity. His insistence on living up to his role as a sort of Joan of Arc, leading the forces of resistance and rebellion de facto and in his absence leads the Liberator crew into one compromising situation after another, providing a sort of false hope leading any number of idealistic uprisings to their eventual doom. But this begs a further question: it is better to live a slave? Or resist and likely die, but as a man? Avon, ever the cynic, nonetheless believes in Blake, or at least the spirit of individual rebellion and freedom he represents. While they often find themselves at odds if not coming to philosophical blows over their respective approaches, they do share the same goal, with Avon, however reluctantly, taking on the mantle of leader in Blake’s absence later in the original series run. And this too says much for the layers of realism and complexity Nation infused into the structure of the series. These are not simple questions with easy answers, as the frothing extremists of the Tea Party right would have it, but a far more accurate reflection of reality and human interrelations with both each other and the inextricably interweaved ecosystem we inhabit. 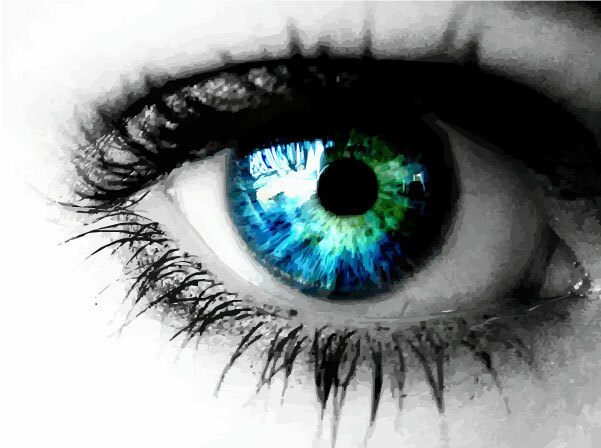 In the real world, questions tend to invite futher questions, and the simplest solutions tend to be the wrong ones. All cases are individual, and all cats are grey in the end. The fact that Smith gets that says more than a simple review ever could.